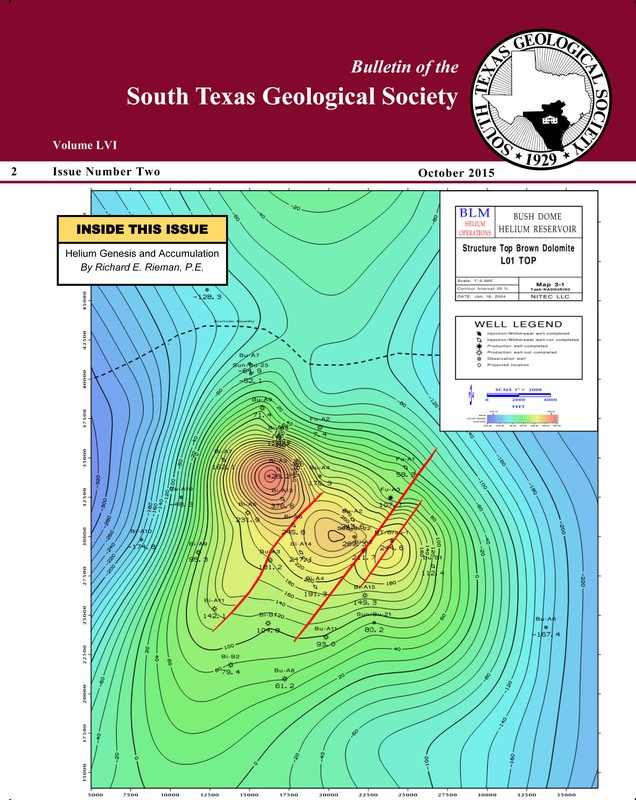 A geophysical attempt to locate a potential cave in the near-vicinity of a water well at Anacacho Limestone setting, Medina County, TexasBy Mustafa Saribudak and Alf HawkinsEnvironmental Geophysics Associates, Austin, Texas Abstract Resistivity and natural potential (NP, also called self-potential) surveys were performed in the eastern part of Medina County, Texas. According to the geological data available, the Upper Cretaceous Anacacho limestone crops out at the study area. The purpose of the work was to determine whether there was a cave underlying the location of a water well, which was claimed by the property owner. The resistivity data indicate significant fracture zones in the vicinity of the water well. 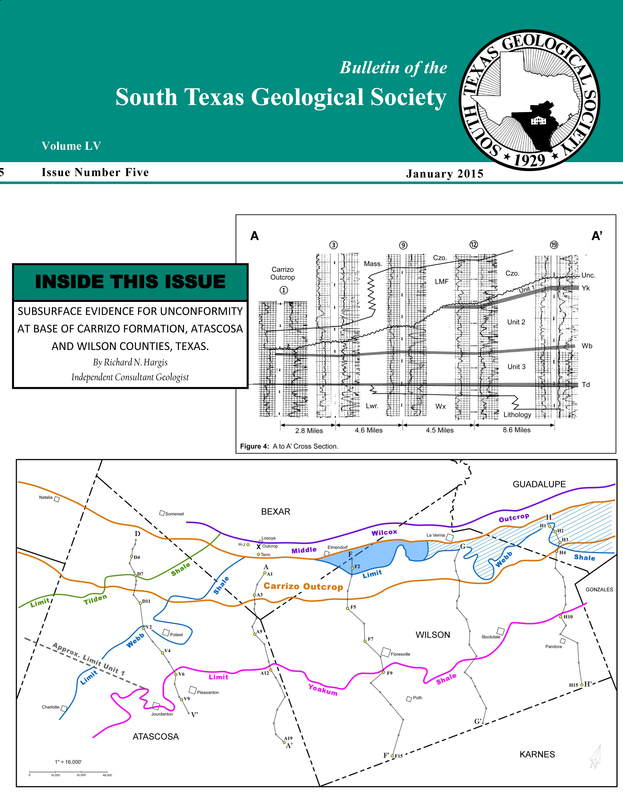 Fracture zones occur on both north-south (N-S) and east-west (E-W) resistivity profiles, which could create a conducive environment for the development of karstic features.The NP data indicate significant negative anomalies around the water well. The N-S profile displays up to a -29 mV anomaly, and the shape of the NP anomaly is remarkably symmetrical round the well casing. The lowest NP value (-29 mV) along the N-S profile aligns itself precisely next to the well location, which strongly suggests that the source of the anomaly is due to the steel casing. The E-W profile shows a negative NP anomaly as well in the near-vicinity of the well. The negative NP values along the E-W profile reach their peaks (-24 mV) at a distance of 3 m from the well location and next to the well. Thus, the NP anomaly gets flattened in the vicinity of the well and loses its symmetrical shape.Although the resistivity data, in addition to other circumstantial evidences, suggests a conducive environment for the development of karstic features near the well, the negative NP anomaly is, mostly, due to the water well casing. Thus the NP data in this study fails to confirm the presence of a cave due to the overriding NP signature of the well casing.Furthermore the resistivity data show the presence of a high resistivity layer (Anacacho limestone) overlain and/or enveloped by a clay layer. 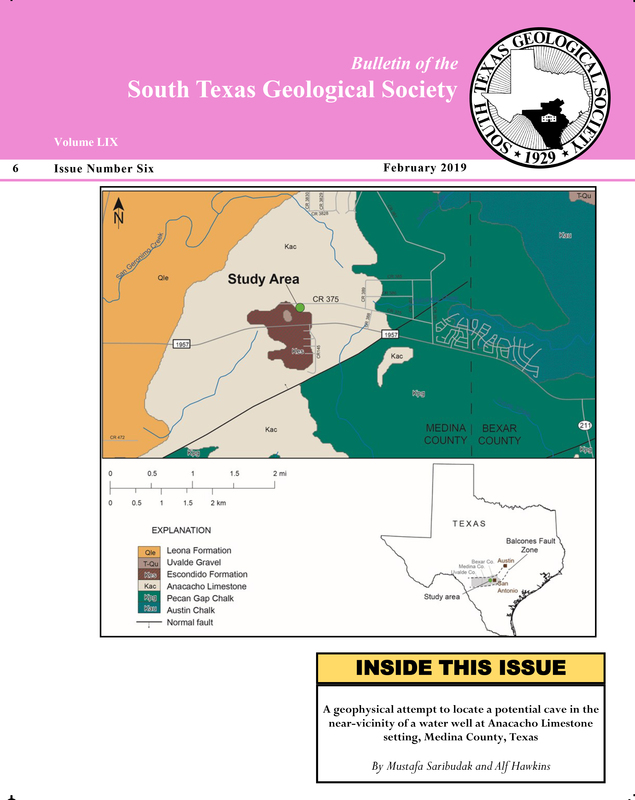 The thickness of the clay layer over the limestone varies considerably, from 3 to 15 m. In the beginning of the study, the significant change in thickness of the clay layer from one resistivity profile to another, and the complete absence of Anacacho limestone layer in one profile were found to be puzzling. 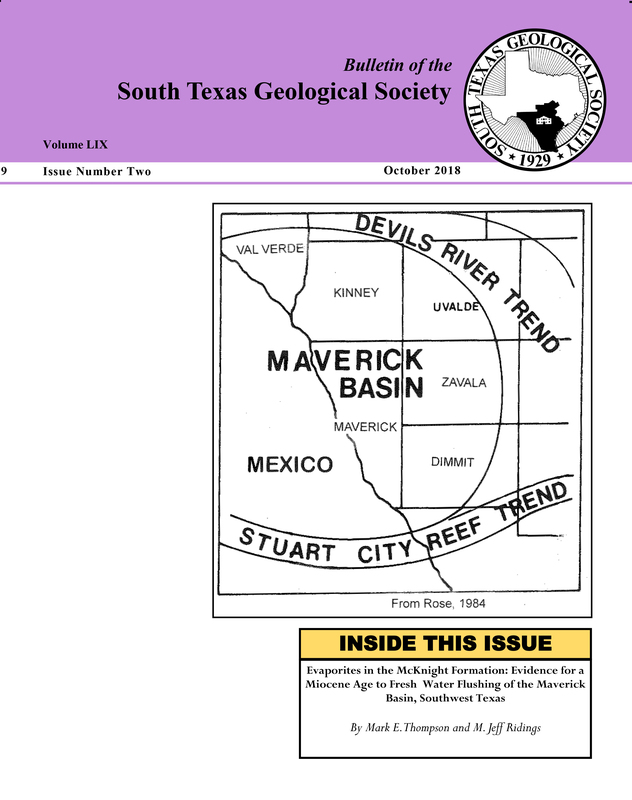 The answer to this phenomena lies in the available published papers, which suggest that the Anacacho limestone is reef deposits, and the origin of the clay is probably volcanic ash, stemming from volcanics associated with the Balcones Magmatic Zone in nearby Uvalde and Medina Counties, TX.